Dr. Lawrence takes a straighforward, active and involved role when counseling. She is open and honest, while keeping warmth, humor, genuine caring and respect central in her relationships with clients. Dr. Lawrence maintains an office atmosphere of comfort and safety, so that self-exploration and growth can take place as quickly and easily as possible. Dr. Lawrence approaches counseling from a theoretically integrated perspective. She believes in looking at how past experiences affect current thoughts, feelings, and behaviors. In particular, she helps people see how those experiences helped to shape their beliefs and expectations, and how those in turn affect the way they experience life. Dr. Lawrence incorporates an educational approach in her work with clients – providing information about theory and research to help them gain self-understanding. She believes in employing practical methods such as behavioral exercises and thought-changing techniques to help accelerate the processes of growth and change. Trusting that people naturally wish to improve themselves and to enhance their life experience is also a core element of Dr. Lawrence’s belief system. Dr. Lawrence has been providing counseling and psychotherapy for a broad array of issues and concerns for over ten years. Primarily working with adults, she has addressed identity, self-esteem, and relationship issues. She has helped people recover from the experience and aftermath of traumatic events, cope with feelings of depression and anxiety, manage feelings of anger, and address a variety of compulsive and addictive behaviors. In addition to her work as a counselor / therapist, Dr. Lawrence has taught at the university level and has conducted research within the Milwaukee community. 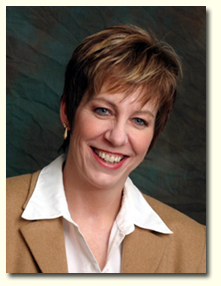 Dr. Lawrence earned her doctoral and master’s degrees in clinical psychology, from the University of Wisconsin-Milwaukee. Her graduate education included minors in counseling psychology and biological psychology. Dr. Lawrence actively pursues continuing education to advance her specialty areas and to acquire additional techniques. She has acquired significant post-graduate training in relationships and couples counseling, divorce mediation, life coaching, trauma counseling, substance abuse, and hypnosis. She is licensed by the state of Wisconsin, is a member of the American Psychological Association (www.apa.org), and is listed in the National Register of Health Service Providers in Psychology (www.nationalregister.org).